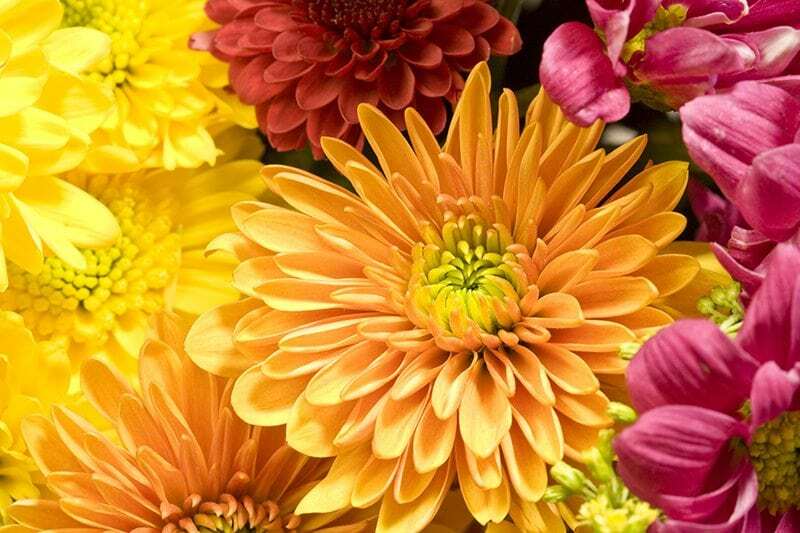 Fall is officially upon us in New Jersey, and it’s time to think about colorful flowers for autumn. So many summer flowers are starting to lose their bloom. But that doesn’t mean your garden should give in to the winter doldrums just yet. With a little planning and care, your garden can continue to shine as the weather cools. Here are some fall-blooming plants perfect for adding warm color to a cool New Jersey garden. There is probably no flower more strongly associated with fall especially when placed right beside a pumpkin. Mums bloom profusely all autumn in a wide range of warm, autumnal colors. Chrysanthemums can be planted in the garden from spring through fall, but the roots need to be in the ground and well-mulched six weeks ahead of extreme cold weather, so buy a hardy breed and get them established right away. 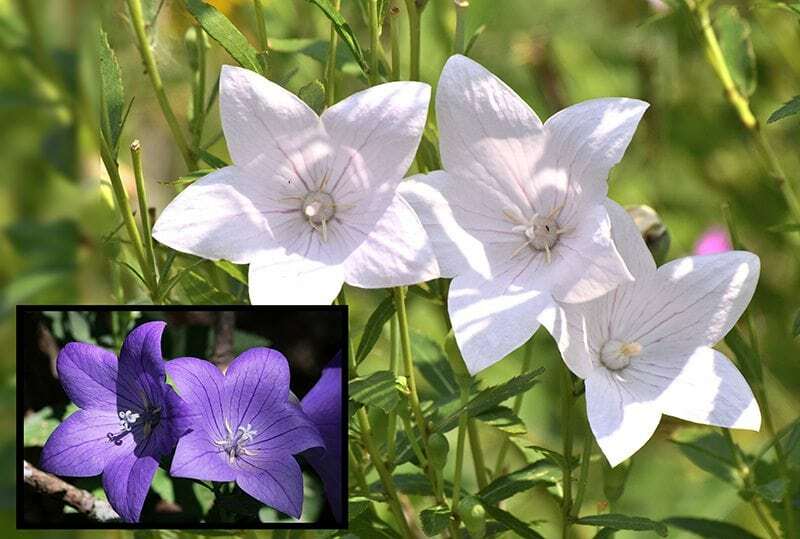 Platycodon grandiflorus, also known as the balloon flower, is a beautiful, low-maintenance plant with prolific bell-shaped blooms in shades of blue, pink, or white. This agreeable plant will grow in sun or light shade, is deer resistant, and only needs to be trimmed back in the spring to start blooming in late summer through autumn. 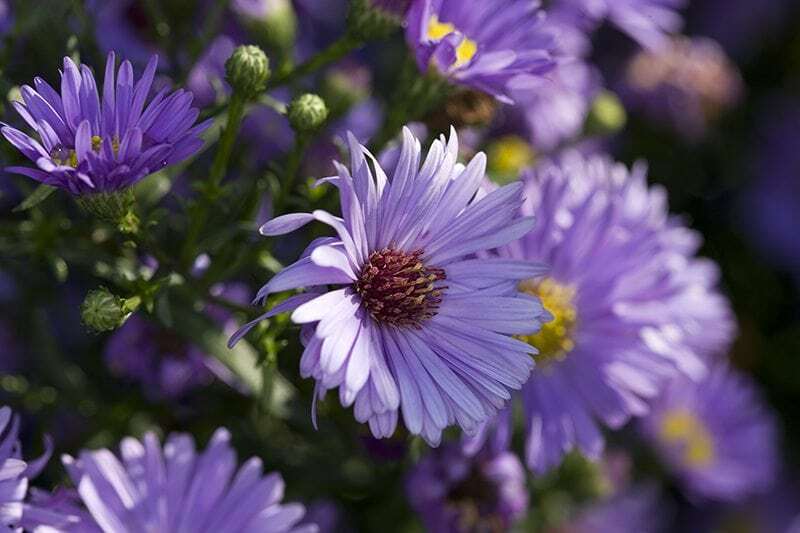 What better choice for The Garden State than the Aster novi-belgii, better known as a New York Aster. These native flowers are versatile, low-maintenance, easy to grow, and produce a vivid splash of color until the late fall. Birds and butterflies love these asters in the garden, and they also make excellent cut flowers for your autumn table. Always cut New York asters back in the spring to prevent legginess and deadhead to prolong blooming and prevent self-seeding. By choosing the right plants, your garden can add interest, color, and appeal to your landscape all year long. 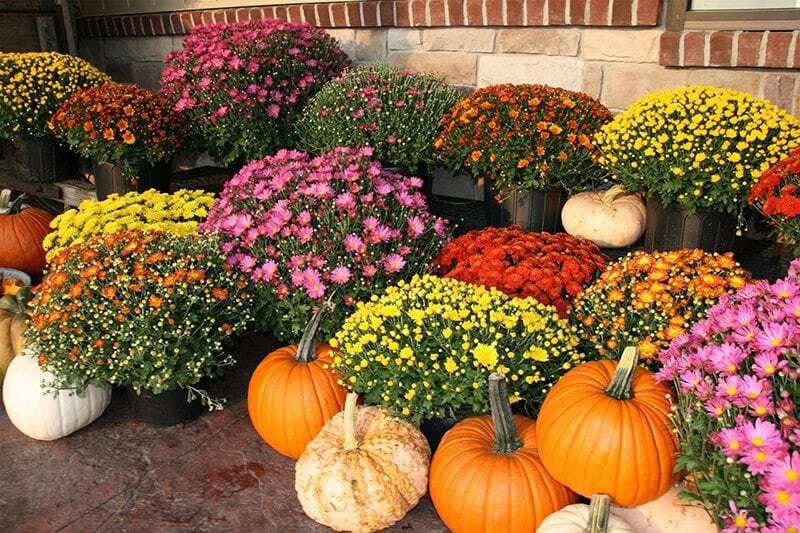 Make this fall even more beautiful with a stand-apart mix of brightly colored flowers and evergreen shrubs.